Ever had that sinking feeling when you find out that a key pump, motor or dryer has unexpectedly shut down – and you have no idea just how long it sat that way until you noticed it? 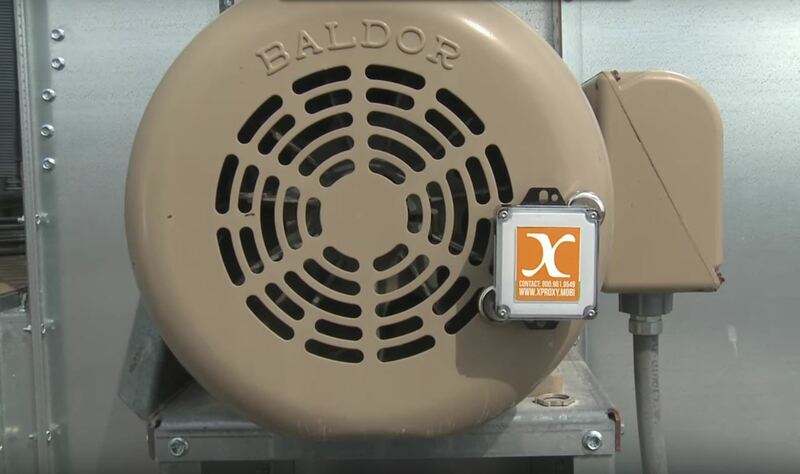 With the new xProxy Vibe from FS Construction Services, you will receive nearly instant notification on your smartphone if a key motor or pump unexpectedly shut down. This breakthrough technology removes worries caused by electrical outages or equipment malfunctions on mechanical devices vital to your farm’s success. FS Construction Services now has access to limited quantities of the new xProxy Vibe Remote Monitoring System. Simply use the magnets on the back of the device to attach it to any motor or pump and it will call you if / when that device shuts down. It truly is as simple as that. Best of all, the xProxy Vibe requires no wires, no electricians, and no recharging. Simply download the app to your phone, enter in your unique serial number and you are 100% set up. The xProxy Vibe senses the vibration of the device it is attached too. If there is a gap of 3 minutes when it senses no vibration, it sends an alert directly to your Smartphone. The best part is, once it contacts you, it will continue to search for vibrations again. When a vibration is detected from the device restarting again, the xProxy Vibe will wait 90 seconds and rearm itself. All with NO additional reset required from the customer. FS Construction Services knows how vital it is for you to be able to multitask. This is why we are so excited to offer the new xProxy Vibe. This device literally allows you to be in multiple places and manage multiple farm processes at one time. Do not be caught off-guard when your dryer motor, bin fan, auger, motor, pump or irrigation systems unexpectedly shut down. Contact the experts at FS Construction Services today and find out just how the xProxy Vibe can save you time, headaches and reduce or eliminate machinery downtime. Want to learn more? Click this link and see it in action before you buy. You have always depended on Gateway FS Construction Services to provide you the very best solutions to your building, grain systems, overhead door and maintenance needs. Now you can count on us and the new xProxy Vibe to help keep your machines running or alerted if they are not. Let the experts at FS Construction Services help, give us a call at 866-551-3454. We look forward to providing you the best customer service experience. Now is the time to save big on your next grain storage and / or grain transfer equipment purchases. Equipment manufacturers have all released their Early Season Sales Programs and savings are better than we at FS Construction Services have seen in quite some time. At FS Construction Services we pride ourselves on carrying the very best equipment, storage and accessory options from the very best and most respected brands in the industry. GSI – Tiered discounts offer a savings of up to 21%, on specific items when orders are placed before the end of November. However, the savings don’t stop there. Save up to 19% on specific purchases December 1 till January 5 and up to 17% through February 2017! Plus, you can maximize your savings by taking advantage of multiple bundle options. 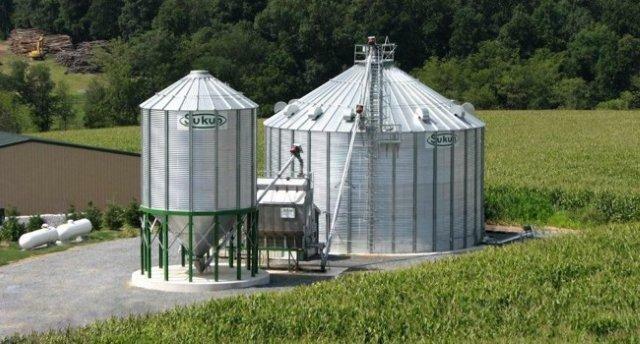 Sukup – Huge discounts and special pricing are available on a wide variety of Sukup’s most popular Bins, Bin Packages, Dryers and Handling Equipment. By acting now, you can take advantage of discounts of up to 25% on select equipment through November 30 and up to 24% through the end of the year! The date of order determines early order discounts, so be sure to call and find out just how much you can save. Brock – Savings of up to 16% apply to high quality Bin Shell products through December 29, up to 13% savings December 30 till February 20 and up to 11% through March of 2017. Early Season package discounts also apply to specific materials and equipment. For a limited time, purchase specific Brock Solid™ Dryer Plus models and receive a FREE Shore Model 935 Moisture Tester – but hurry, this free offer expires November 30!FS Construction Services is proud to provide the widest array of options and flexibility from three of the very best manufacturing names in the grain storage, handling and transfer business. With these great offers, specific requirements may apply, so be sure to contact FS Construction Services today to find out program details. This is your opportunity to get the savings you want on the structures and equipment you need.Don’t miss this opportunity to benefit from superior deals on early-season program deals from GSI, Sukup, and Brock. Contact the FS Construction Services team today to find out just how much you can save. You can depend on Gateway FS Construction Services to provide you the very best in grain drying, monitoring and storage systems. To take advantage of these fantastic offers, give us a call at 866-551-3454 and let our specialists help you choose the best grain systems to meet your specific needs. We look forward to providing you the best customer service experience.